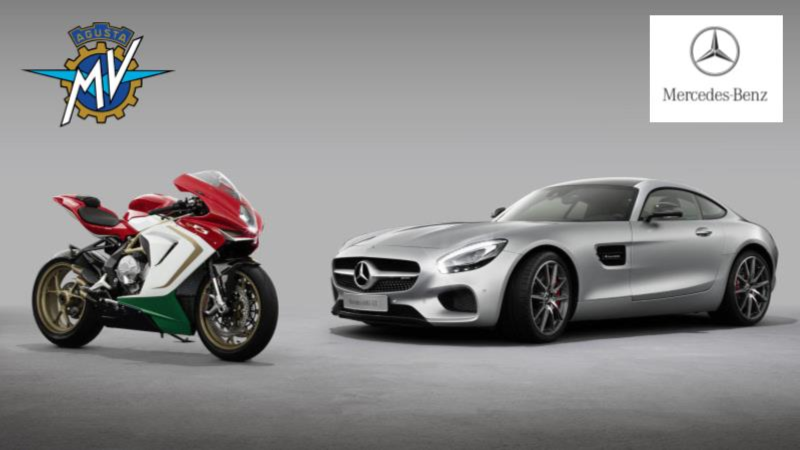 Mercedes-Benz is betting big on MV Agusta. It now appears that Mercedes dealers will begin displaying MV`s sportbikes. According to BMW Blog, MV Agusta`s president Giovanni Castiglioni revealed to journalists at the launch of the new Brutale 800 that 127 Mercedes dealers in Europe will soon start displaying the Italian firm`s motorcycles. That would be a very different approach from its rivals. BMW makes both motorcycles and automobiles, but doesn`t sell its two-wheeled vehicles through its four-wheel showrooms unless the dealership has franchises for both. The same goes for Ducati, which doesn`t display at Volkswagen, Audi, or Lamborghini dealers. Daimler bought a quarter of MV Agusta`s stock after its previous relationship with Ducati fell apart. The Ducati deal had been facilitated by Investindustrial, the Italian firm that previously owned the motorcycle brand and has since taken over Aston Martin [which in turn is now deepening its ties with Daimler]. The Volkswagen Group bought Ducati in 2012, structuring it through its Lamborghini division, which is in turn grouped under Audi. Even beyond Italian motorcycle manufacturers and German automakers, companies that make both types of vehicles typically sell their two- and four-wheeled models through separate dealer networks. Other automakers in the motorcycle business as well include Honda, Suzuki, and Peugeot. Triumph once made both, but hasn`t made an automobile since the Acclaim ceased production in 1984.